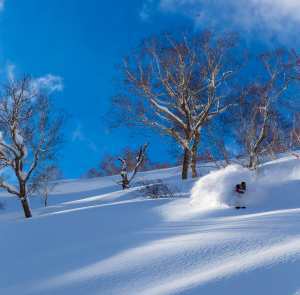 For most skiers and boarders, the idea of heliskiing is very appealing. It is something we all want to do but it just seems out of reach. Yes, multi-day heli operations based out of a wilderness lodge in Canada or Alaska are definitely out of the budget for the majority, but a one-day heliskiing booking is something most of us can afford and something we should all experience. 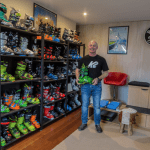 Fortunately for Australian and New Zealand skiers and boarders, an affordable day’s heliskiing is easily accessible during the southern hemisphere winter. 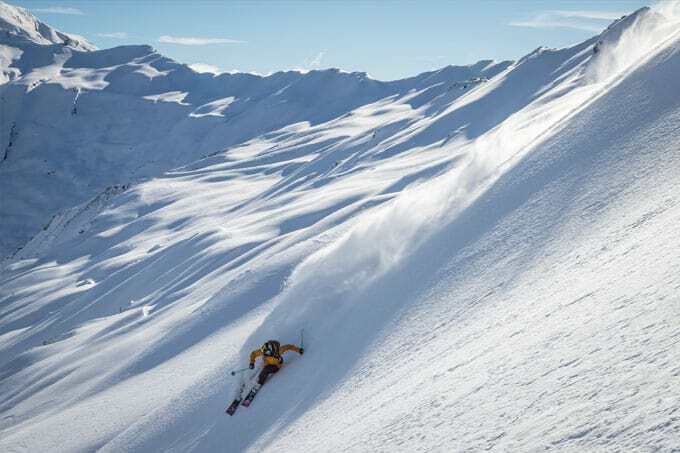 The mountain ranges within New Zealand’s Southern Alps have some excellent heliski terrain, the enormous backcountry opening up endless opportunity. 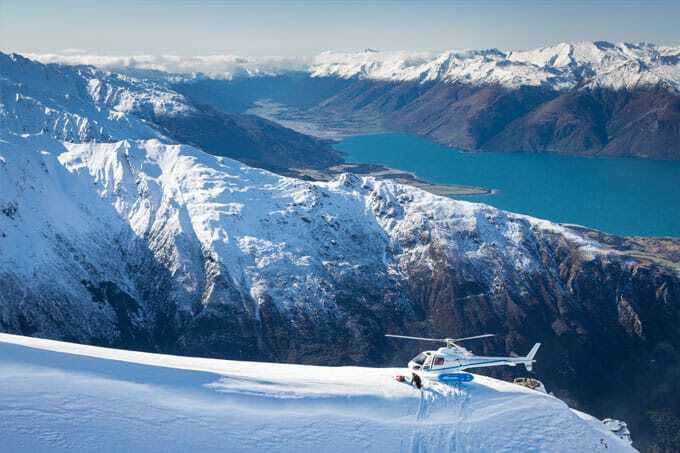 This is where Southern Lakes Heliski operates with daily guided trips, weather permitting, out of Wanaka and Queenstown. 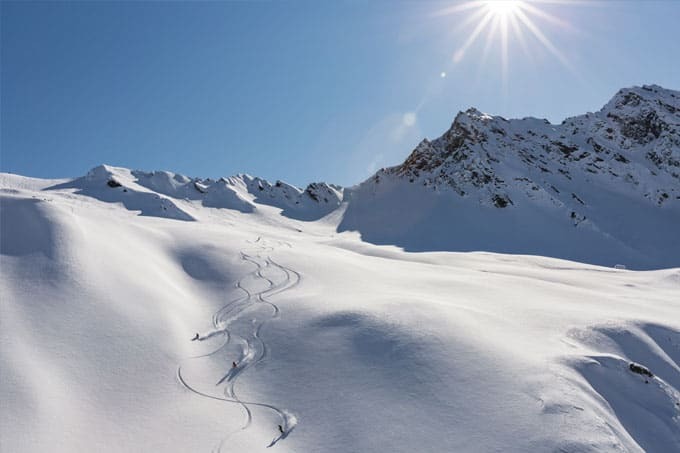 If you want to turn a New Zealand snow holiday into something really special, including a day’s heliskiing is the way to go. 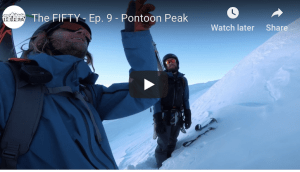 It is something you’ll never forget, flying through the mountains into remote, untouched backcountry and skiing kilometres of untracked snow. The views of New Zealand’s Southern Alps are incredible, the soaring peaks seemingly so close it feels like you can touch them. 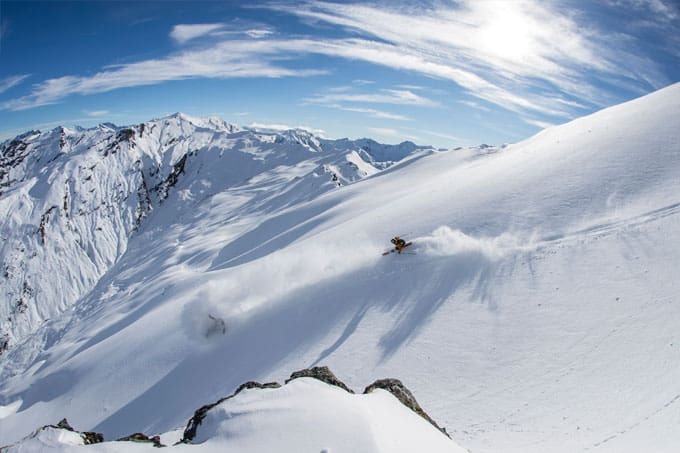 Southern Lakes Heliski is one of the longest-running operators in New Zealand with experienced pilots and guides who know and understand the mountains and the changing conditions. 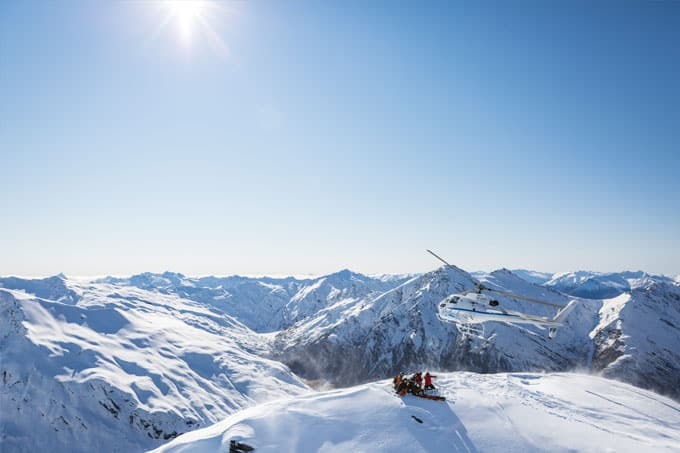 In fact, Southern Lakes Heli was the operator used for many years to ferry athletes during the legendary World Heli Challenge big mountain ski and snowboard competitions. The guides have a deep knowledge of snowpack, snow safety and avalanche awareness so follow their instructions and you are good to go. The terrain Southern Heliski access is vast, with over 600 runs spread across 11 different mountain ranges and access to some incredible glacier skiing. The untouched backcountry features wide-open bowls, steep chutes, rock drops and natural half pipes, so there’s plenty of fun to be had for everyone. Flights out of both Wanaka and Queenstown cater for all standards and efforts are made to ensure groups are made up of people of similar ability. 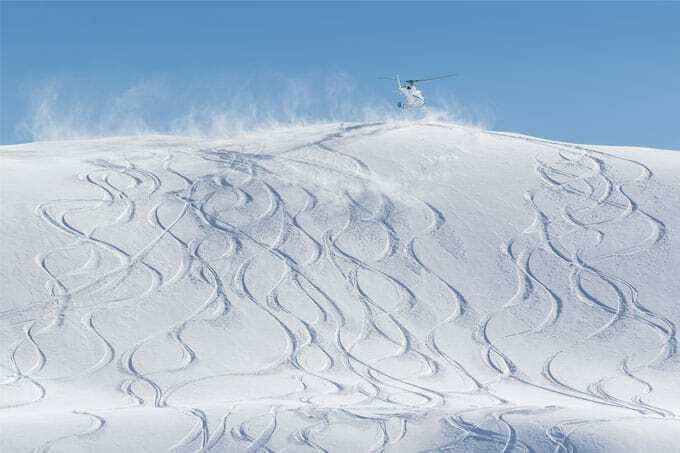 One of the common misconceptions about heli skiing is that it is for experts only, but the variety of terrain accessed by Southern Lakes Heli means you only need to be an intermediate skier or boarder. The other misconception is that people have to jump out of the heli on to a narrow precipice with a cliff on one side and a 45-degree pitch on the other – not true. 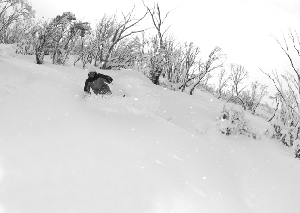 You’re not in a Travis Rice film and the heli lands on the snow at the top of a run where there is plenty of space, so it is easy to safely disembark onto the snow without any stress. The day is pretty simple. You’ll get a call in the morning and if the weather conditions are good to fly you are picked up from your accommodation in either Wanaka or Queenstown and taken to the helicopter departure point. Here you meet your guide who will be brief you on safety on the mountain and around the helicopter, give you an avalanche transceiver and show you how to use it. Then you’re off for the “day of your life”. One for the best, and most economical, ways to guarantee an epic day is to get a few friends together for a private day-charter. This option allows much more freedom with private access to your own helicopter and guides. These packages are created to suit your specific needs, abilities, expectations and budget. One of the most popular is the Gold Charter which caters to eight people and you can expect to get around 12 runs. Often the gold charter is made up of two groups of four friends, all of the same ability. 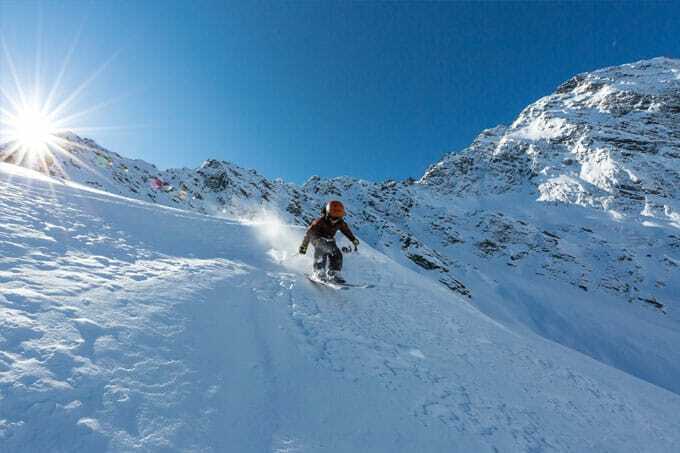 This allows variety of terrain and also the guide will know where the best snow will be for that group on that day. It pretty well means more terrain, more vertical and more runs. Seriously – how much fun are these two having? Jason said the day was perfect from start to finish, well organised with an excellent guide, and they had excellent conditions. The cost of the Gold Charter is $10,955, bring the cost person for a group of eight to $1375. That makes the cost per run around $115. 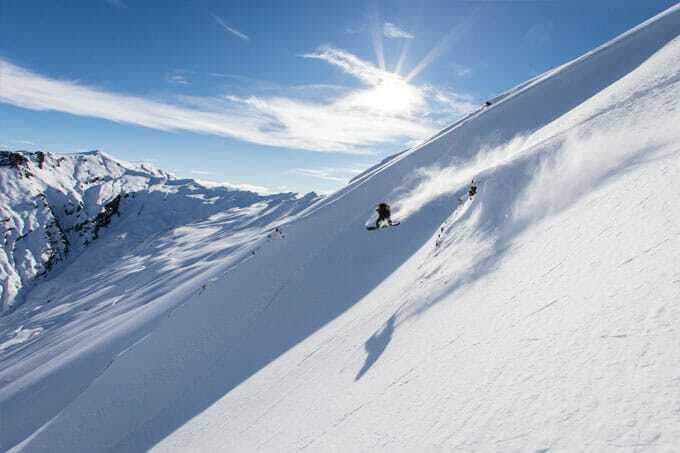 Although the amount skied in a day is dependent on the terrain, Southern Lakes generally operates in the best snow between 1220m and 2585 metres. Given the most runs have a vertical of 600-1000metres, that is a lot of riding in one day. Dry and fresh with no one around. As they say, the best day of your ski/snowboard life is just a short flight away. 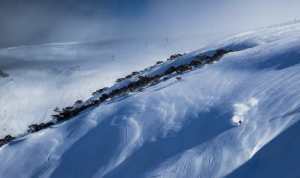 Want to win an all-inclusive trip to Wanaka including a day of heli skiing with Southern Lakes Heli ski? 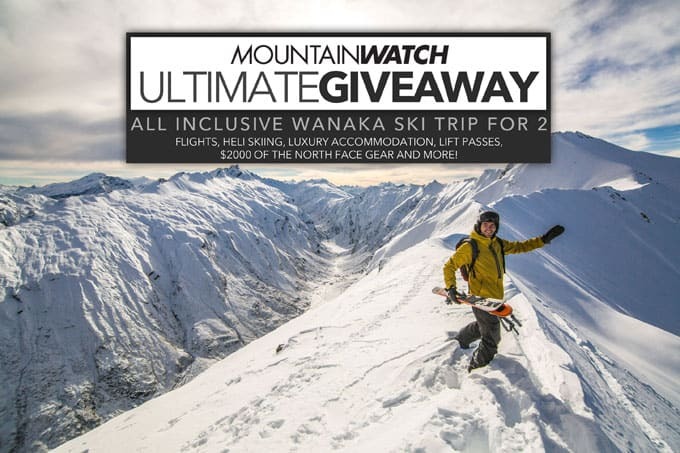 Enter our ultimate Wanaka giveaway for your chance to win!